I've been a bit lacking in nail art inspiration recently and when I have attempted some nail art it's generally been a bit of a fail, so I haven't featured much on my blog recently. However, I recently came across a design that I instantly fell in love with over on Sam's blog InSAMazement and I knew I wanted to give it a try. I've adapted my design slightly from Sam's, mostly making it a little simpler as I haven't mastered ombre nails yet (I really must practice), but I'm really pleased with how it's turned out. First I applied a base coat (Ciate Underwear). You don't have to do this of course, but I'd recommend it, especially if you're using a colour like green as it's likely this might stain. Then I applied my chosen base colour. As I'm going for a mermaid tail look I went for an emerald green shimmer (Rimmel 60 seconds in Green with envy) as this says to me mermaid tail! I applied two coats. I then applied a glitter (Ciate Confetti) over the top for a little extra sparkle. You don't want a full coverage glitter for this, just one designed to be applied over another shade. I then applied a quick drying top coat (Ciate Speed Coat) over the top to seal what I'd done so far and make sure it was dry and also to provide a smooth surface over the glitter I'd applied. Although I used a quick drying top coat I left this for about half an hour to make sure my nails were definitely dry before moving on. 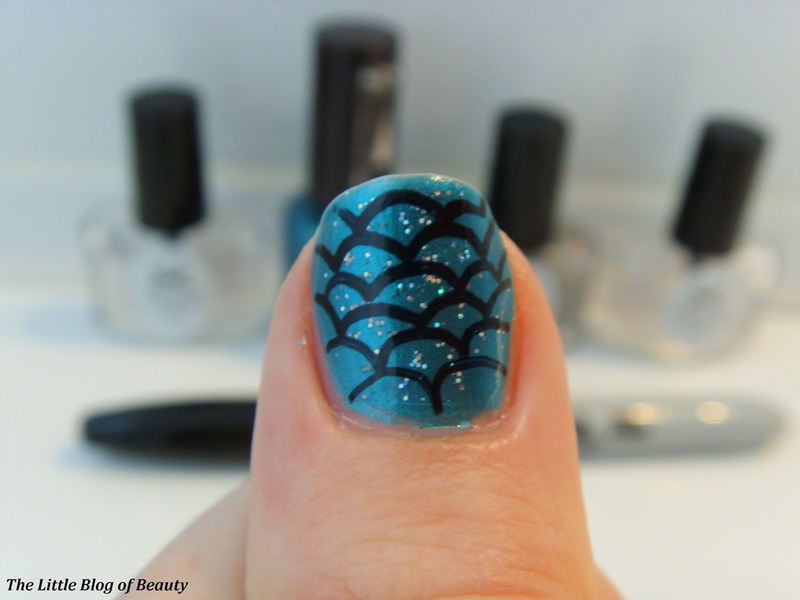 I then took a black Sharpie and drew the scales onto each nail (only my left hand though as I'm not ambidextrous!). Finally I applied another coat of top coat to seal the Sharpie design to my nails. As you can probably see I did slip with the Sharpie slightly in a couple of places but from a distance you can't really see this. I find using a Sharpie perfect for this kind of nail art, I've tried various different types of nail art pen and as of yet haven't found any that I've been happy with as I always feel like I don't have enough control. The ink dries quickly but I would give it at least a couple of minutes before going over the top with a top coat. I haven't experienced any kind of smudging when painting over the top. 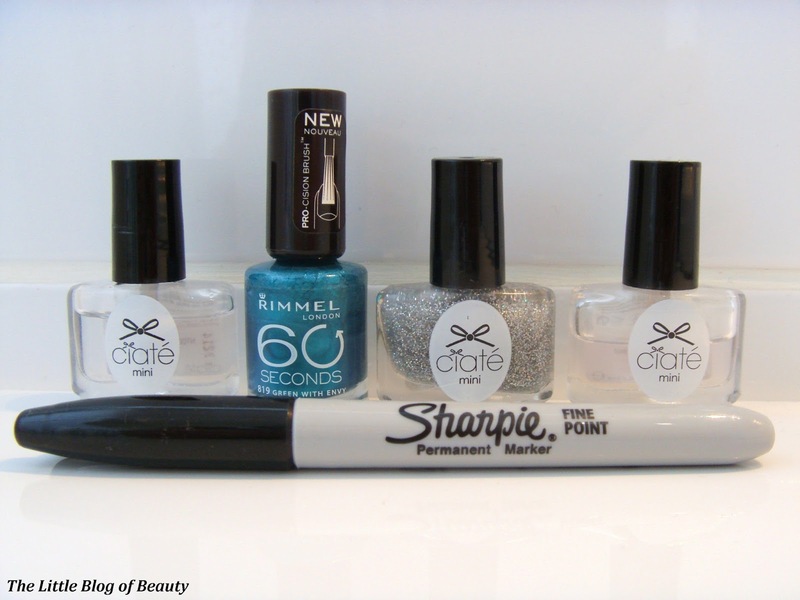 Don't worry about applying a permanent marker on your nails as this dissolves away with the rest of your nail varnish when you use a nail varnish remover. You can find Sam's post with her tutorial here. Sam posts some amazing nail art designs and tutorials so I'd really recommend heading over and checking out her blog. 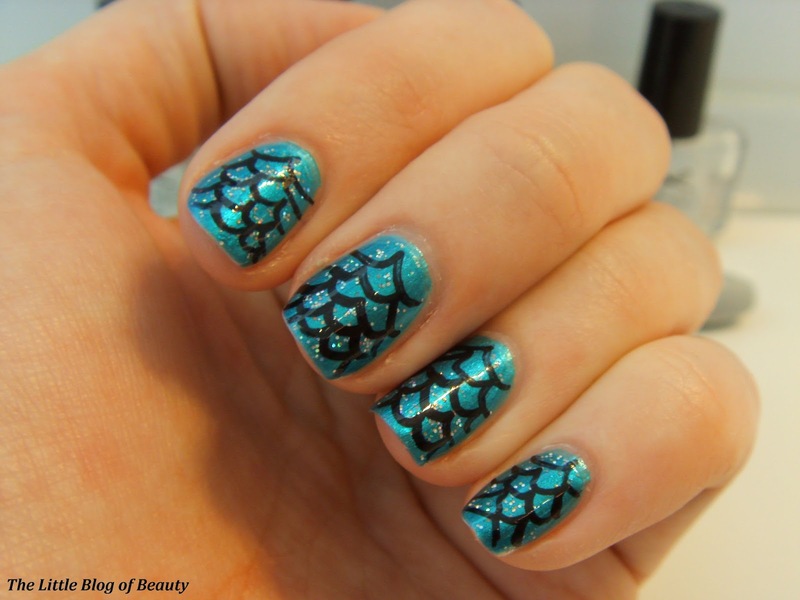 What do you think of mermaid nails? ooh these look so pretty, and so easy to do, I need to try them out ASAP! 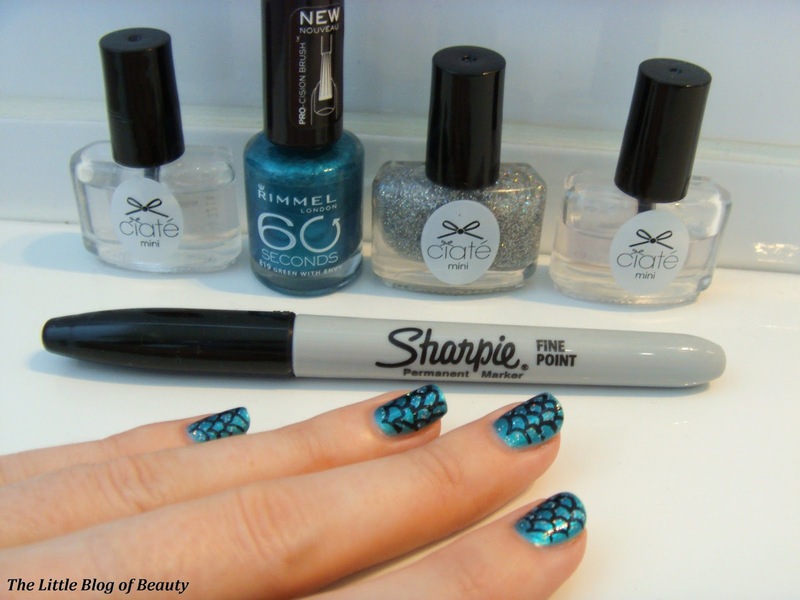 Never realised you could use Sharpies on your nails, need to try that! Gorgeous, but I don't think I'd be able to do this with my non-dominant hand.